Sega's TeraDrive was an unusual beast. Produced in collaboration with IBM (who manufactured the system) it combined a 286 PC with a MegaDrive (Genesis). Very few were sold, and little software was released. The system is very robustly constructed, which is typical of IBM's hardware. The keyboard is the clicky type and is very durable - also typical for IBM. There is a matching Sega-branded monitor, but the manufacturer is unknown. The rest of the system was manufactured by Sega. Peripherals included or purchased separately include the mouse (similar or identical to the MegaDrive mouse), and a 3-button joypad which is indistinguishable from the MegaDrive part. IBM's involvement didn't end with the hardware, they were responsible for the drivers and OS as well. The system shipped with IBM DOS J4.0/V. Full Japanese character support and drivers for the MegaDrive hardware were included. For reasons known only to themselves, Sega launched the TeraDrive in 1991, three years after the 1988 Japan release of the MegaDrive. It's not known how long the system was in development, but I hope it was a very long time, or Sega's management at the time should be very, very ashamed. The 80286 CPU was rolled out in 1982, the '386 in 1985, and by 1989 the '486 was available. The TeraDrive was released with a CPU two generations behind, and only two years before the first Pentium processor. Appallingly slow out of the gate - never a good sign. (Note that these CPU release dates were taken from Intel's press releases, and they indicate ithe release dates to developers and manufacturers, actual street dates are usually years later). Production numbers are unknown. The system is moderately rare in Japan, although prices are rising rapidly due to collector demand. As of this writing (June '03) the prices are triple what they were two years ago. The original price for the system ranged between �148,000 (Approximately $1099 USD at the time) and �248,000 ($1842 USD). Only three models were released, a low-end Model 1, with 640k RAM and no HD, a Model 2 with two floppies and no HD and 1MB RAM, and the high-end Model 3, with one floppy, 2.5MB RAM and a 30MB drive. All three shipped with the same software and accessories, which is to say they didn't come with anything much. There has been speculation that the system was intended as a developer platform, but I think the release date and anemic hardware, as well as the availability of Sega's own actual dev hardware, should put that theory to rest. Many people, especially those pesky Europeans (particularly the British), are fond of saying "Oh, yeh, the TeraDrive. Did you ever see the Amstrad PC/MegaDrive combo? Fine bit of kit that was, eh wot? Let's go down to the pub!". On the surface the two do seem to share many features. Both are PCs, with MegaDrives in them! That's pretty much where it ends, however. The Amstrad was more powerful than the TeraDrive, with a 25MHz 386 processor, and had more RAM (16MB compared to 2.5). The TeraDrive was more flexible, however. 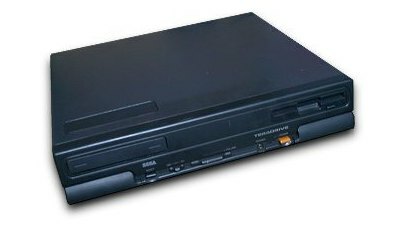 Where the Amstrad was literally a PC with a MegaDrive inside, the TeraDrive was a hybrid machine with both units integrated and to some extent aware of each other. The Amstrad had a sliding door which would shut off one unit and activate another, Slide it to the PC side and you unconvered the MegaDrive cartridge slot and pad ports. Slide it the other way to uncover the PC floppy drive. The Amstrad was also shoddily manufactured, where the TeraDrive was very robust. 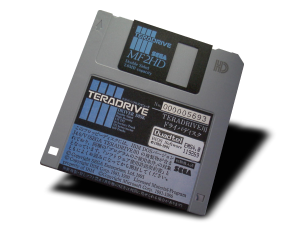 The IBM drivers included with the TeraDrive enabled properly written software to install software in RAM and run them on native MegaDrive hardware. One of the very few software titles released for the TeraDrive was Puzzle Construction, which included a PC-side editor suite for changing the features of a falling-block puzzle game, which was run on the MD-side. 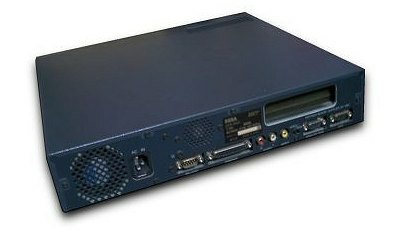 - It has been reported that there is a 386 version of this computer. There is not - probably some confusion between this and the Amstrad MD/PC. - I've heard that the CPU in this system is upgradable, but I'm not aware of any upgrades to a surface-mount, non-removable AMD 286 CPU. - On the Teradrive it is possible to use both the MD + PC at the same time. This is another issue confusing the TeraDrive and the Amstrad, I think. The Amstrad was limited to one use at a time. - The MD can be used on the RGB/VGA port as well as the composite video port, although the system does not 'upscan' the RGB, so a 15kHz monitor must be used on the RGB output. The PC output cannot use the composite port. Table lifted from Sega's Site and translated by me. If you use this translation, please credit me.